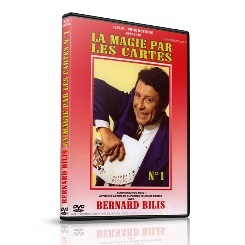 A 65 minute DVD of solid magic that's a guaranteed blockbuster! Of special note is 'Jokers Are Wild'. This update of the classic wild card trick features a mind-blowing payoff when the cards turn into cash! Eric's unique method of presenting 'Card In Wallet' will make this a reputation maker for you. WOW! Eric's 'Ring And String Routine' is worth the price of the DVD! It's one of the best walk-around effects that you will ever do. The impossible 'visible link' will really fool you! Learn this one right away!